Discover 203 campsites of France with restaurant but also over 450 campsites throughout France, offering a variety of rental mobile homes, chalets and accommodation of more atypical as bungalows or caravans, but also leisure facilities such as aquatic areas with sometimes an indoor or well even with heated pool for your comfort, for an unforgettable vacation. Campsites in France with restaurant welcome you to your camping holiday 2, 3, 4 and 5 star or LRP. Campsites with recreational facilities (swimming pool, water park, water park, water slides, wading pool, spa, playground, tennis court, multi-sports), entertainment and services (restaurant, bar, food, WiFi access, disabled access, camper services) to make the best of holidays throughout France with restaurant. Traditional camping in France with restaurant on pitches or rental of mobile home camping, campsites below offer the best camping in France with restaurant. Enjoy the outdoor accommodation and campsites in France with restaurant! Rental of mobile homes, chalets, bungalows, cottages, Bengali, cottages, trailers, caravans, tipis and camping sites equipped for your holidays in France with restaurant, our French campgrounds welcome you everywhere in France with restaurant, a favorite camping in Europe. Have a great holiday camping with our campsites in France with restaurant! In Charente Maritime, located 200 m from a sandy beach and in the heart of the Suzac forest, Ideal Camping welcomes you in its park of 8 hectares with 476 delimited sites. Our 3-star campsite, near Royan, is located 2 km from the town centre of St Georges de Didonne. We welcome you in a warm family atmosphere to spend a pleasant holiday. We wish you a very pleasant stay at the gates of Royan. 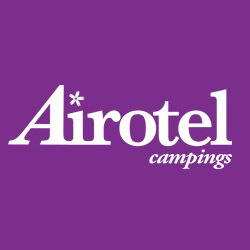 Your camping holiday at the 4-star Airotel campsite by the seaside in southern Finistère Farniente, relaxation, fun pool heated to 28/30°C, facing the Glénan islands the clearest waters in Brittany, from 1st April to 15 September! A superb 4-star campsite with great facilities ideally located 900 metres from a fabulous sandy beach and creeks with clear tuquoise waters in Pointe de Trévignon. Finistère is a magical holiday destination boasting stunning scenery and seascapes. A footpath located 250 m from the campsite leads directly to the beach. The campsite offers a wide range of activities for children, teenagers and adults. The campsite has a fitness room open throughout the season, free of charge, as well as an outdoor fitness circuit, body boomers. In the pool complex, there is a hot tub, massage jets, cascade, counter-current river and aquabikes. We offer a bike hire service so you can explore the area from a different angle. Wifi is available all over the campsite. Pay as you go tickets are for sale with different options to suit the duration required. A free wifi hot spot is available around the entertainment room, bar and games room. The indoor pool, the waterslides and jacuzzi are open and heated from 1st April to 15 September. We have an on-site bar / snack-bar /restaurant Ideally located 900 metres from a fabulous sandy beach and creeks with clear tuquoise waters in Pointe de Trévignon in Trégunc, a coastal resort renowned for its 23 km stetch of coast, traditional cuisine and proximity to the famous walled town of Concarneau. The campsite is set within a superb 17-acre wooded park just 900 m from a sandy beach, coves, dunes and harbour (Pointe de Trévignon). A footpath leads to the GR 34 coastal trail offering stunning views over the Glénan islands, an archipelago renowned for the clarity of its waters, port and breathtaking landscapes of sandy beaches, dunes, wild countryside, coastal ponds and lagoons. Let Les Ourmes campsite tempt you for your family holidays in France’s Médoc region, less than 500 yards from the largest fresh water lake in France and 6 miles from the beaches that line the Atlantic coast. If you are a nature lover or a sports enthusiast, come and enjoy the restful and relaxing breaks at our landscaped 7-hectare site, which is also the ideal destination for board and water sports fanatics. Because it sits in an exceptional location between forests, lakes and the ocean, within easy reach of the treasures of the Médoc and the UNESCO World Heritage City of Bordeaux, our campsite also gives you holidays with relaxation, sport, culture and more... Here, we have something to satisfy everyone! You can book your holidays now for next summer 2019 ! In the Pays d'Argentat at the Dordogne river banks, around a former estate, in a setting of old buildings. At the heart of a flourishing vegetation, in a flowery and wooded park full of scents. Le Soleil d'Oc offers you the possibilty to enjoy a peaceful nature under a generous sun for u unique and relaxing holiday Our Assets: - A covered and heated swimming pool with a glass roof, A Spa - Wi-Fi on the entire campsite - Hikes from the campsite - Renowned fishing spot All facilities on site WIFI A natural spot. In Loire-Atlantique, near the city of Pornic, and located in the Pays de Retz, the camping "LES BLEUETS" invites you to discover the Jade coast and the beauty of its sites and its beaches. Within a radius of 50 km, you can visit the island of Noirmoutier, Guérande salt marshes and fortified town, Brière Nature Park, Saint Gildas Point and its wild coast, the estuary of the Loire... The campsite offers a choice of locations but also traditional pitchs, services and entertainment. We are equipped with a heated pool, and we wish you a pleasant vacation between land and sea. Wifi zone. Open from 01/04 to 30/09. Between two departments, Vendee and Charente Maritime, our campsite will offer you the benefit of the nature and the pleasure in family. Located 5 kms from the beachs, far from the noisy seaside resort, you will be at the ideal starting point to relax on the somptuous beachs of La Faute sur Mer, La tranche sur Mer or to discover « Le Marais Poitevin ». Our campsite of 9ha offers large pitches for tent, caravan or motor home and a large range of accomodations : mobile home, wooden cottage, roulotte, hut… In the heart of the bay of L’Aiguillon sur Mer, the campsite La Dive is a paradise to share in family and where gracious living is a way of life. Holidays in France, camping one hour from le Puy du fou between Les Sables d'Olonne and La Rochelle ! 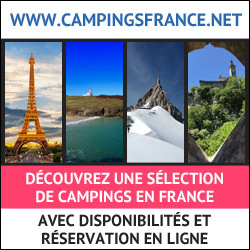 3 stars campsite in South Vendée, close to the Tranche sur Mer. Le Port de Moricq campsite is equipped with a heated indoor swimming pool (discoverable) from mid-April to mid-September. For your holidays or holidays in a campsite near the sea, we offer you rentals of mobile homes, chalets, tarpaulins and pitches for tents, caravans and motorhomes (with washing area). At the campsite: snack-bar open in July and August, a multi-sport field, petanque court and children's playground. For daily services: laundry (washing machine and dryer). Finally to spend pleasant moments, animations in summer season: animations in the evening (DJ, Karaoke, singers, hypnotist...), club children (5-12 years old) with entertainer children, sports animations with sport entertainer. Enough to spend a pleasant stay in the campsite of Vendée. Come for a breath of nature in the heart of the Auvergne volcanoes. Welcome in Auvergne to our Menet Lake Holiday Village Completely refurbished, open for you all year round. It’s preserved surroundings close to Puy Mary (major site in France) and Salers. In the heart of the Auvergne Volcanoes, in the Cantal region, reenergise yourself in a relaxing setting opposite a 14 hectare lake. Our new lodgings will surprise you with their design that respects nature, their top of the range equipment (free WiFi access, televisions (at extra cost), wood pellet stove...) and their comfort: habitable area of 60m² and a terrace of approx. 40m². Chrystel and David welcome you to this magnificent setting and their greatest wish is to have you discover the riches of this beautiful region. Our campsite is in the departement of Puy de Dôme, in Auvergne. Located on the heights of chambon/lake (1000m d'altitude) our campsite of 75 places on 6 wooded acres offers you a unique view on the lake Chambon and the Castle Murol.Ideal place : Facing : east-south on the hillside with numerous sites in terraces. Its situation : at the bottom of Sancy, near thelakes, waterfalls, hiking trails and touristic sites. Its bucolic setting in its natural, family and quiet atmosphere with no hustle and bustle, but we propose some thematic activities.Heated swimming pool with opening roof, children's padding pool. sauna.Snack bar with panoramic terrace,games rooms, outdoor games, small grocer's shop, bakery, ice unlimited and free Wifi. Campsite 3 stars in Normandy with 78 spacious pitches, a quiet wooded park, close to the historic town centre of Villedieu les Poêles. "Les Chevaliers de Malte", welcomes you to this historic park of 2.2 hectares, bordered by trees, close to the river, but also to the town centre of Villedieu les Poêles. This historic town bearing the denomination " Ville et Métiers d'Art", has a busy commercial center including, doctors surgeries, museums, and the famous Fonderie de Cloches Cornille-Havard et l'Atelier du Cuivre. A must for all visitors and only a few meters from the campsite! The 4-star campsite Sites et Paysages LE VENTOULOU is located in a green setting, in the Dordogne Valley, halfway between Rocamadour and Padirac. We offer an idyllic natural surroundings, quality accommodation (Cottages, tent or caravan) or campsites (tent, caravan or camping-car) for unforgettable moments with family, friends or head headed. You will find there new sanitary, including one heated, powered by solar hot water with family cubicles, children cabins and a full cabin for the disabled. Our indoor heated swimming pool (throughout the opening period of the campsite), the quality of locations, infrastructure, the very trees and flourishing vegetation, but above all our human and family size (66 locations), are camping Sites et Paysages LE VENTOULOU a place of healthy, relaxing stay particularly suitable for families with children: children's paradise for comfort and well-being of the parents! Locally, in season, there is a bar-restaurant-pizzeria, a convenience store, a complimentary kids club (in season), laundry facilities, daily evening entertainment (Quiz, Loto, concert, theme dinners, karaoke, pool party, dancing, ...) and day: sports tournaments (petanque, table tennis, volleyball, basketball, football, badminton, ...), canoeing and climbing trips on the Dordogne, ... Ideal starting point to discover the tourist spots of the Lot / Dordogne (Autoire, Loubressac, Carennac, Martel also Sarlat, St Cirq, Collonges Red and many other exceptional sites like the monkey forest and the rock eagles in Rocamadour, Gramat Animal Park, ...) but also for many sports (Cyclo, mountain biking, hiking, canoeing, fishing, golf, climbing, caving, cave diving, ...). Accepted animals.